Our corporate event video coverage is available in two different approaches -- highlight or spotlight style. Our highlight videos feature the best 10% or less of videography from an event. Our spotlight event video coverage delivers 80-90% or more of the raw video. These video segments feature only the best 10% or less of an event’s footage. For example, a 30 minute presentation would be boiled down into a 3 minute (or less) video segment. In the example video below, we gathered video at a fundraising golf event for about 8 hours to create this 4 minute highlight video (watch below). This approach incorporates production elements like interviews, name/title graphics, action footage and copyright free music. *Each hour of coverage can result in a new 30 seconds of edited output. This video production approach is for events where clients want a majority of the footage captured. We call this approach "spotlight," because it normally puts the spotlight on one speaker, one stage, or one presentation. Matty D. Media captures an entire event and incorporates 80-90% or more of the raw footage into the final video edit. You could say that we just "trim the fat" from the raw footage. This video production includes a simple name and title graphic, but does not include copyright-free music. Difference between HD and 4K video? Our 4K cameras deliver a higher image quality than HD. Additionally, 4K video assets have a longer shelf-life, as more people are watching content on 4K devices. We deliver our clients the final video product via Dropbox. Our HD videos are delivered in 1920x1080 resolution while 4K videos are delivered in a 3840x2160 resolution. Delivery is the sixth and final step of our production process. Read our full 6 step process here. During this event, we were rolling on both an HD and 4K camera. Even though this video exists in a 4K format, you may still be watching it as an HD experience. This could happen because the platform hosting the video has compressed the file, or because the device you're watching it on doesn't support 4K. Regardless, you can still see the image quality of the 4K camera is better than the HD one. And, the 4K video file will be yours to keep forever if you hire Matty D. Media LLC for your project. Want more technical info about 4K? Techradar.com provides a great summary here. Need A La Carte video production services? We have a section dedicated to that! Matty D. Media also offers free, custom, and same-day estimates. Click on the free consultation button to connect with us! 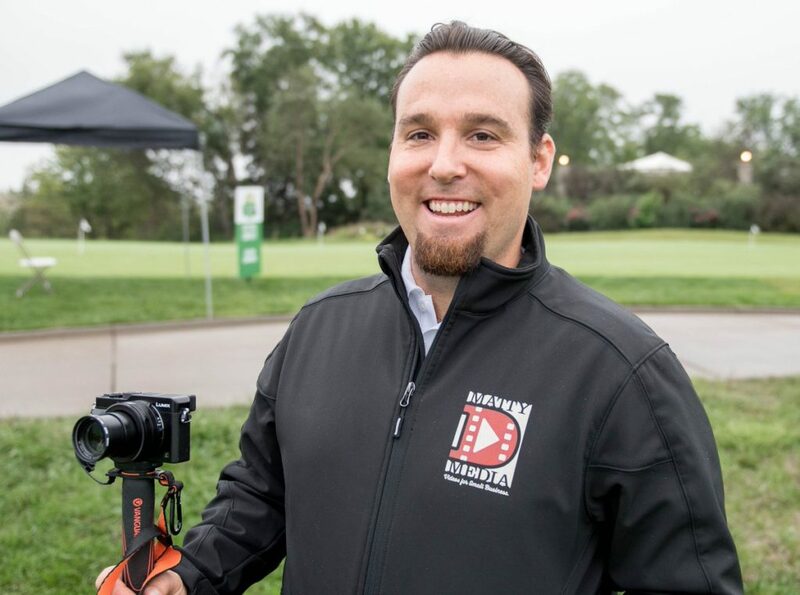 Matt DeSarle, owner of Matty D. Media LLC, covers the 2018 Penny Jones Golf Tournament for LMH Health. Photo by Jeff Burkhead.